(Provincial highway is a one, two or three digit highway. Examples of Highway # are 2, 58, 884. If possible, provide a simple map showing your location). In the text box below, please provide ALL relevant information concerning your operation or attraction. NB Please provide as much information as possible. Failure to do so could delay the process of determining the eligibility of your application. Have at least one of the following: a controlled gate, staffed orientation point, or permanent interpretation panels/display? Listed in an official travel guide or entered into Travel Alberta’s Tourist Information System, or is a legitimate operation recognized by the relevant industry association? Provide wheelchair accessibility; designated parking stalls, easy building access and, prominently display the wheelchair symbol? Is this facility open for PUBLIC access and/or use? As a condition of approval, the applicant agrees to ensure that directional signs will be placed at all intersections along the “minor” road system from the facility to the approved sign location/intersection as stipulated in the approval. 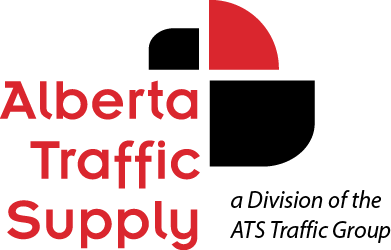 Also, the applicant, as a condition of approval, shall remove all existing, non-conforming signs both inside and outside the provincial highway right-of-way, which fall within Alberta Transportation’s development control area as stipulated in the Highways Development and Protection Act. These non-compliant signs shall be removed prior to approvals being issued. The applicant is hereby notified that should the attraction at any time fail to qualify or comply with the guidelines, the signs permitted under this program will be removed. Examples of non-conforming signs include signs installed in farmer's fields on private land adjacent to the highway.